Day +354: We have just over 2 weeks before we drive out to Mn. We are still waiting on the girls’ EB carrier results, donor decisions, starting packing and housing in MN, but I know it will all work out. I’m not as stressed about getting out there as last year. 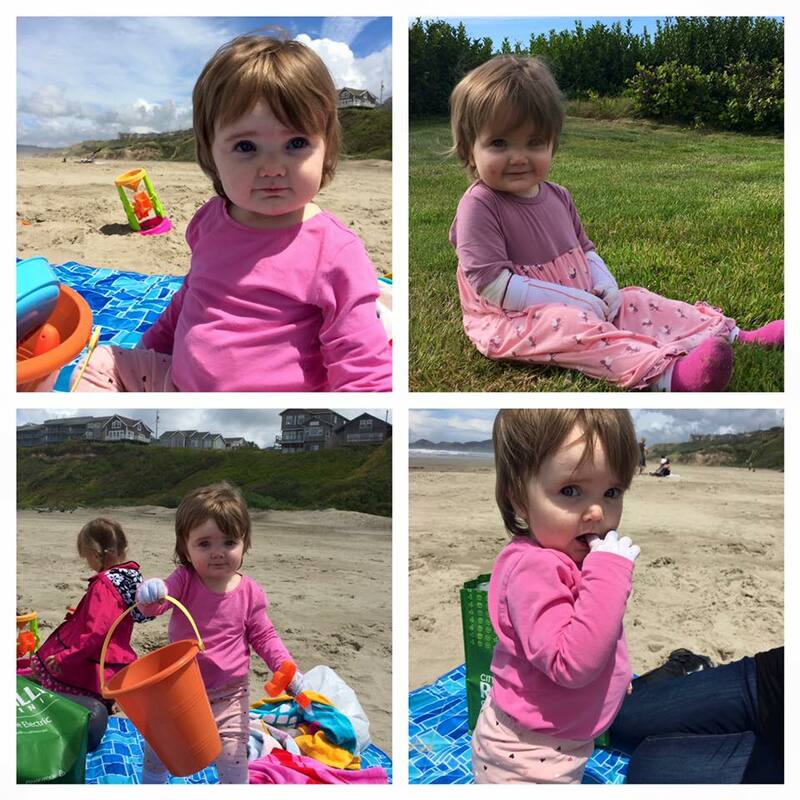 We had a great time visiting family on the coast last week. The weather was perfectly cool for Kiira. All signs of rash went away and she was able to play outside comfortably. It was fun to see her at the beach and playing tag on the grass as she yells, “Got ya!” Now we are home in 100 degree weather and she cries because we won’t let her go out. The heat makes her too sweaty and her skin breaks down faster. Thank you to my aunt and uncle for spoiling my kids and putting up with us for the week! Today we had Kiira’s echocardiogram. We don’t know any results yet, but hope all comes back fine. Thank you for your continued prayers! This sweet girl needs to keep her health, skin in good condition, and be as strong as possible as she goes in for a second round of chemo and radiation in a month.